Street Names for Crack Cocaine: What Do Slang Terms Mean? As one of the world’s most popular drugs, crack has gathered quite a strong and notorious reputation. Its effects are known worldwide, and for that reason, users, dealers, and traffickers tend to use slang for crack. The use of nicknames for crack is for some reasons. 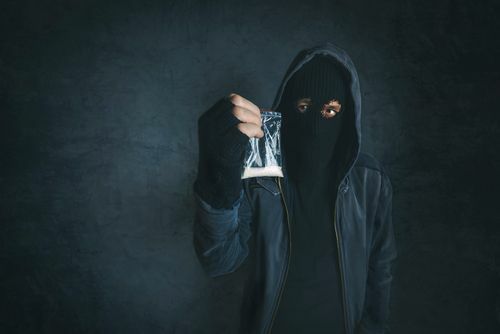 Discover why slang is used when it comes to drugs like crack and learn which nicknames are the most frequently used. Why Do Addicts Use Such Nicknames? Crack cocaine is a heavily cut version of the stimulant. It is often mixed with rat poison or other drugs, which make it even more deadly than its purer form. But how did crack get its name? And does it have other renowned street titles? Crack cocaine got its name from the commonly heard sound it makes when lit in a pipe. The well known cracking sound is what the drug is famously known for amongst users. Crack cocaine street names come in abundance. There are a few that can be guessed at as to where their meaning came from. Others are far less clear in that regard. Nicknames such as grit, black rock and rocks are all quite understandable. However, nicknames such as jelly beans are far less clear. It is believed this nickname derives from crack being mixed with sweet ingredients and being as addictive as the sweets, although this isn’t completely clear. Crack cocaine names can also often highlight what the cocaine is mixed with. This is important as what the drug is mixed with can dictate how long does a crack high last and how long crack is in your system. These nicknames, therefore, provide the user with information about the dose of the drug, without them having to ask for it explicitly. Arguably the most common crack slang name is candy. This term derives from the drug being incredibly moreish, just like candy itself. The nickname candy often softens the sound of the drug too. It can often draw young users into abusing the substance before they realize what it is. According to the Center For Substance Abuse Research, there are some other commonly used terms for crack cocaine in the United States alone. However, these terms even change amongst different cultures and communities, which makes understanding them very difficult. There are some reasons an addict may use a drug’s street name. The first of those reasons is the fact that crack is illegal. Using slang names for crack may allow users to talk about the drug in anyone’s presence far more discreetly. This may also help if they are talking about the drug around relatives, whom they do not want to know about their addiction. Addicts may often even create their own, or regularly change the street name they use for the drug, to avoid detection by those around them. As there are numbers of names for crack, there is an extensive list that can be used to get away with it. Another reason street names may be used is to be persuasive. This is not necessarily addicts using the street names but more so dealers. In this case, nicknames like candy will simply sell more of the drug, as it seems innocent and safe. Because of this, a lot of the fear factor around the drug is taken away. 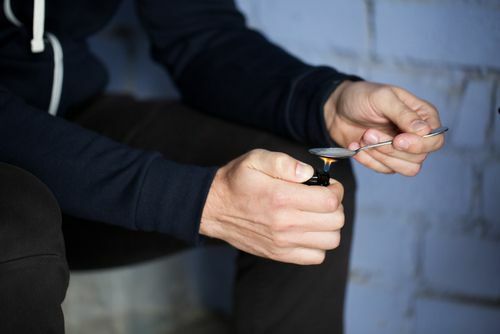 In addition to that, dealers and traffickers, just like addicts would be able to talk about the drug without raising the suspicions of those around them. These nicknames will allow addicts to communicate with dealers over text, in person or online, without the interaction being detected easily. This way, users can find out how much crack is and agree on a dose, without interference. When it comes to spotting the terms being used by an addict, it can sometimes be quite difficult. The terms for the drug can be almost anything, and if someone wants to hide their addiction that much, then words may not be the best way to spot their addiction. Instead, it is advisable to look for the side effects of the drug and any behavioral nuisances it may create, such as excess money spend or mood swings. Like any addiction, crack addiction can take over your life. It can destroy relationships, toy with emotions and physically hamper a person too. That is why it is vital to learn how to get off crack. When attempting to overcome an addiction to crack, there are some treatment options. These include inpatient treatment, outpatient care, and therapy. Each treatment option has positives and negatives, so it is essential to know which will benefit you most as an individual. For further information on finding the most suitable treatment option for you, contact a medical professional. If you still need a second opinion on which program to choose, where to get help, or any other information, please call out hotline at (888)-459-5511.